They were starting to dominate our table. I had nowhere else to store them, and for some reason just kept pushing off using them time and again. 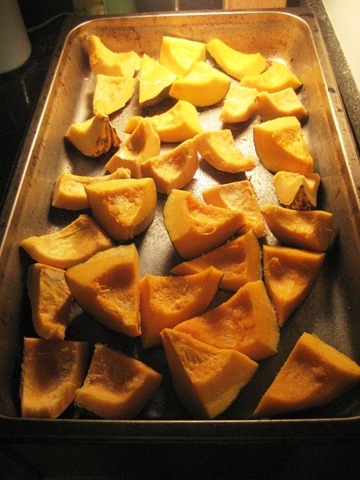 After Wil’s comment, I knew I had to do something to reduce to clutter so I roasted the squash on Sunday night. First, I cut them up. Cleaned and cut them more. And then baked them at 400º for 40 minutes. 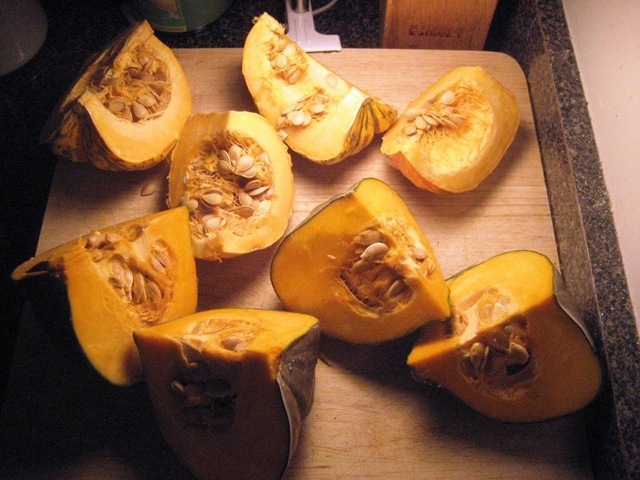 Once they were done, I peeled the skins and chopped them up and into the fridge they went. 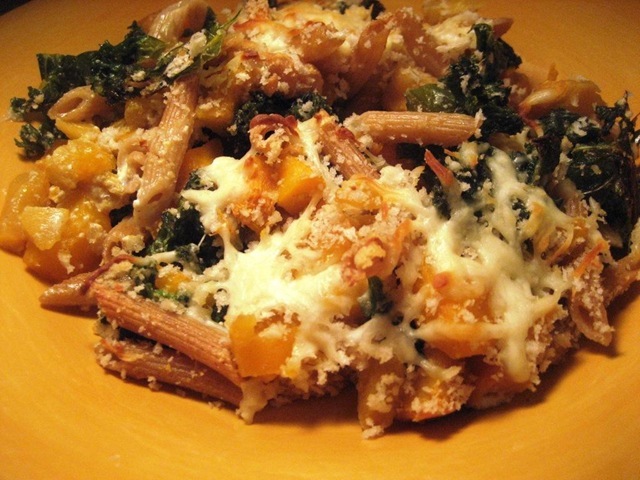 Last night for dinner I wanted to make something with the squash, so I went with a cheesy pasta bake that was healthy too! 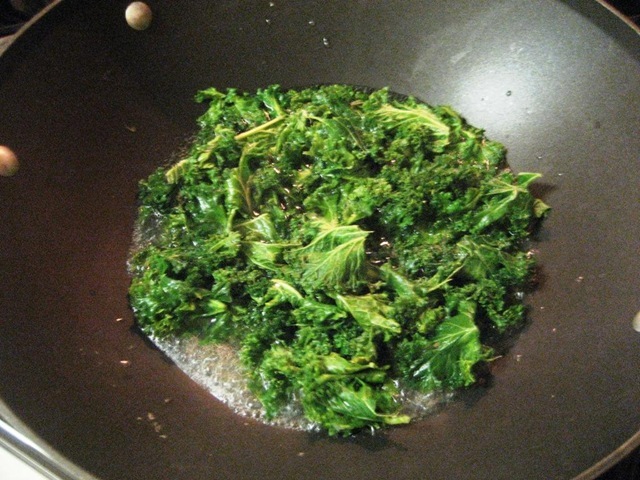 I took one of the containers of squash and chopped it up, and then blanched some kale that was on its last leg. I cooked 2 servings of pasta al dente, and while that was going heated 1/2 a shallot and 2 cloves of garlic, minced. Once those got fragrant (1-2 minutes), I added in 1 serving of ricotta, a sprinkle of dried sage and some veggie stock to make a cheesy sauce. 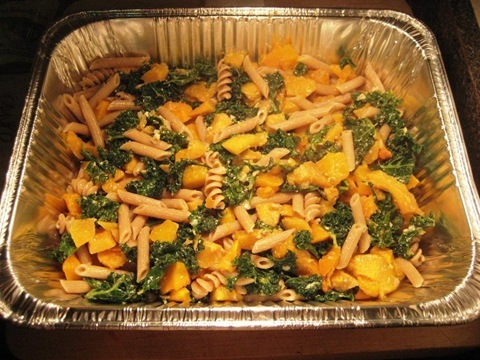 I added the cooked pasta, kale, and squash directly into the sauce and mixed it all around. And then transferred it into a baking dish. I sprinkled on a layer of panko crumbs and then 1.5 servings of cheese. And then into the oven it went! 20 minutes at 350, and then 10 minutes at 425 to get it browned on top. It was soooooooooooo good. 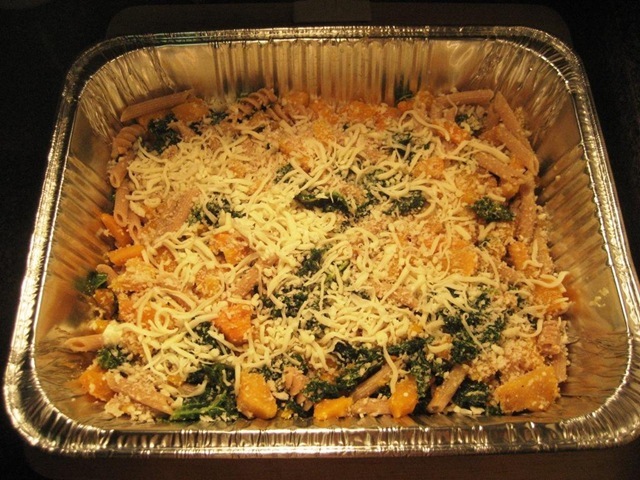 The entire dish was so flavorful from the sauce, and some of the pasta got a little crunchy from being baked. The whole thing was cheesy and gooey, and the best part? I got to eat HALF of that dish and still was eating well! 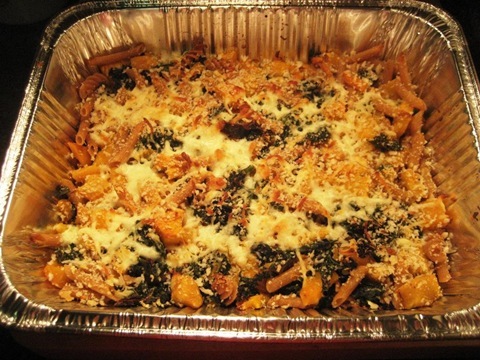 The other best part of this type of pasta bake is that its completely changeable based on what you have on hand. 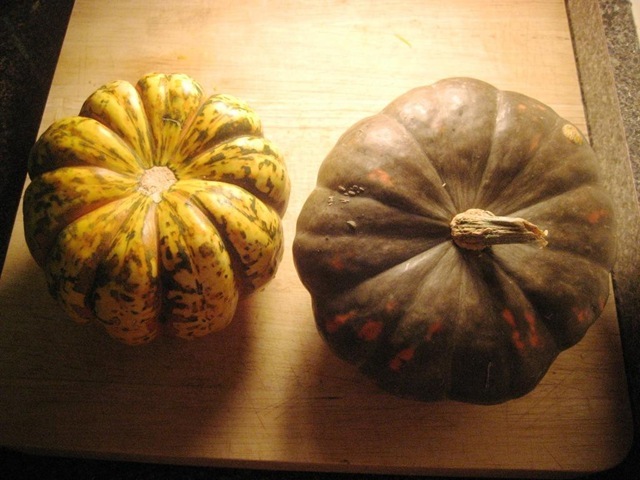 Make sure everything that goes into the dish is cooked, but if you want to use squash you can always just sautee or boil it so it goes quicker rather than roasting it. I used whole wheat pasta, but you could easily do this with white pasta or linguini or angel hair, or whatever you have on hand. 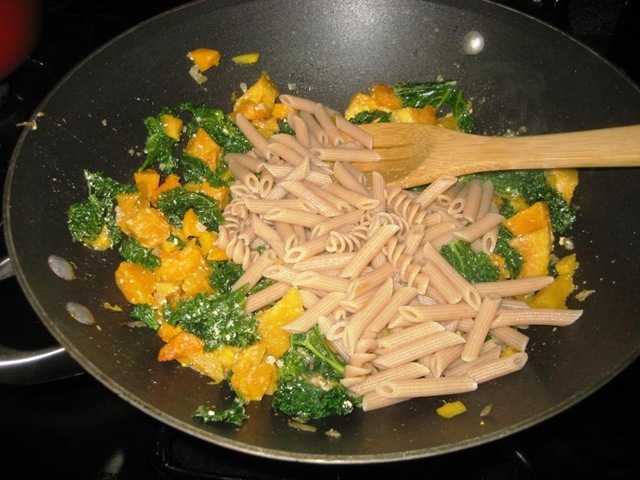 The herb/herb combo is totally customizable too, and if you prefer a less cheesy pasta (there’s something wrong with you! :)) you could easily mix marinara sauce into the pasta/veggie and just top it with cheese. Or, you could completely leave the cheese off (shame) and just use panko. What is your favorite casserole dish? Any special recipes you’d like to share? Good morning! I am feeling sooooo tired this morning because I was up until almost 1am reading! I love it when books keep me up because they are so hard to put down, but my body hates me the morning after. I’m currently reading The Help and yesterday alone I read almost 200 pages! It’s so good. So I realize I haven’t really mentioned much about working out on here, but that’s because I got a new toy and have been waiting to use it a few times before writing about it on here! 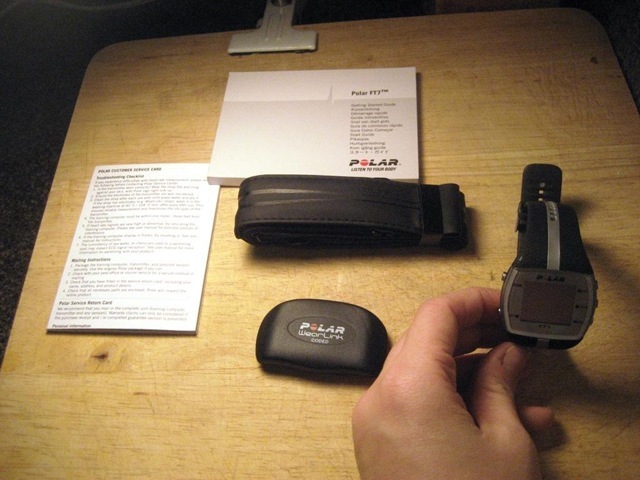 Polar USA sent me the Polar FT7 Heart Rate Monitor to use and review on the blog, and so far I am loving it. Full disclosure, they sent me the HRM for free, but as always, I will be giving you my honest opinion of the product. I’ve actually wanted a Polar HRM for a while now, because while I love love LOVE my Garmin, I hate that I can’t use it indoors. Now that the weather is cooler, most of my workouts have transitioned inside, and I like to be able to keep track of my workouts. 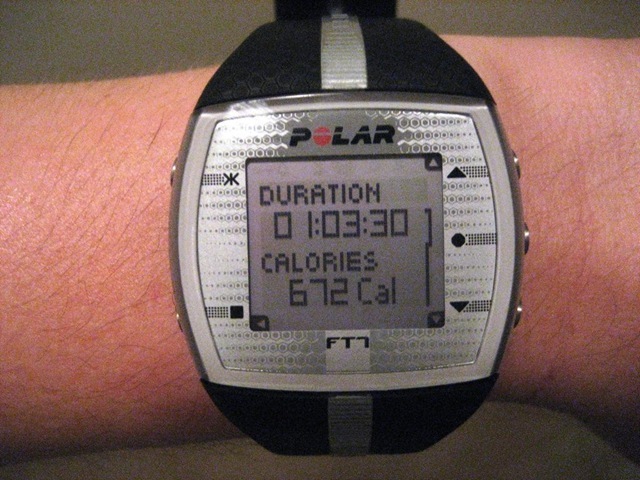 The Polar HRM is awesome because you can use it inside, and it calculates calorie burn based off of your heart rate, which is much more accurate than my Garmin which calculates it off age/weight. The HRM arrived on Wednesday before Thanksgiving, and it was so easy to get going right out of the box. The box came with the watch itself, a chest strap, the transmitter to plug into the chest strap, and two user guides. All you do is turn on the watch and it prompts you to answer a few questions, (birthday, date, language, weight, height, etc) and then you wet the inside of the chest strap, put it on, and press the start button on the watch. The watch syncs with the heart rate monitor and as soon as your heart rate shows up on the watch, you’re ready to go. 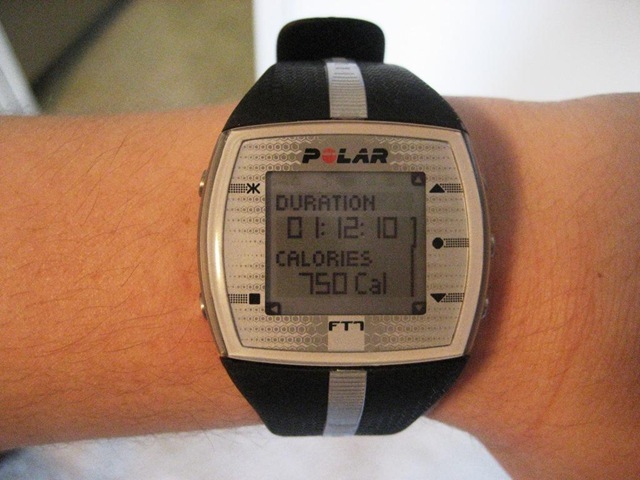 You just press “start” once you begin working out and it keeps track of the time your working out, your heart rate, and your calorie burn, and then you press “stop” when you’re done and it gives you an overview of your total time working out plus the calorie burn. The watch itself is very comfortable, and much smaller than the Garmin. I wasted no time, and started working out almost immediately after receiving the box on Wednesday night. I knew that the measurements of calorie burn on the treadmill would be a lot different than the true calorie burn, but I had NO idea how much of a difference there would be. 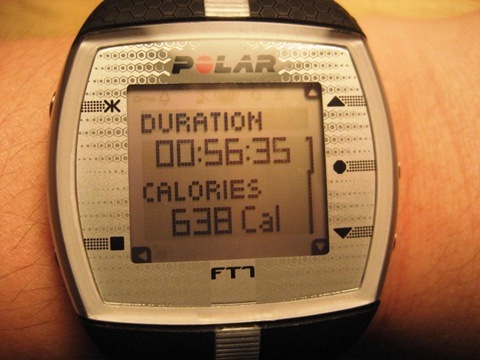 Most of the time, when running 4-5 miles on the treadmill, the treadmill said I had burned over 100 extra calories than the Polar did. Crazy! Workout 4: Monday Night (last night). I love that I can keep track of my calorie burn, and each day I’ve pushed a little further to hit a certain calorie burn milestone (especially Saturday!). The treadmills in my gym are equipped to hook up to Polar HRMs, so my treadmill syncs with the watch and puts my true heart rate up on the screen the whole time. I usually keep the calorie burn screen up on the watch (which just has the total calories burned in big numbers) while I’m working out to keep track of where I am. Once I’m ready to crack down to lose the last few pounds (any day now…) I think this is going to be a very useful tool since looking at calories in v. calories out is the “simplest” way to lose weight. 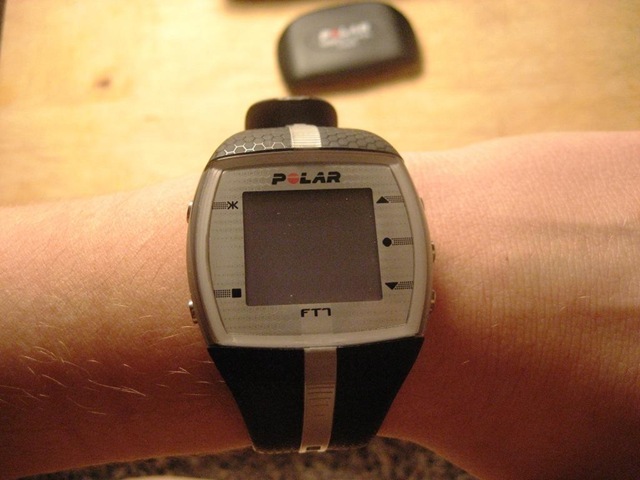 I am so excited to keep using this Polar HRM to track my workouts, especially now that 99% of my workouts have been indoors. 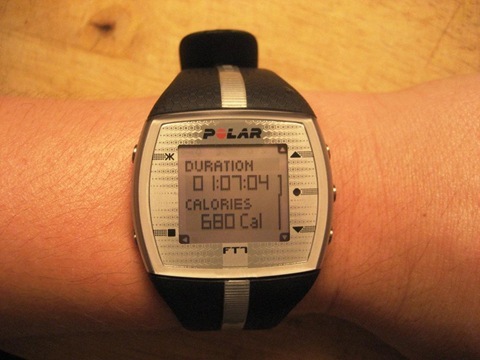 I also can’t wait to use it during The Shred and Bikram to see how many calories I burn during those activities. I’m sure there are a lot more features that I haven’t explored yet, but the basics of this FT7 are amazing. Do you have a heart rate monitor? What kind and do you like it or not so much? If not, how do you keep track of your workouts? 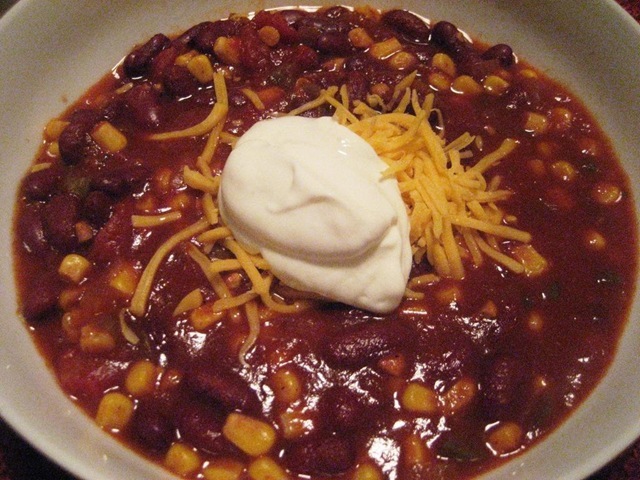 In honor of my new Crockpot, I threw together a recipe for vegetarian chili that is so hearty and satisfying that you won’t miss the meat at all. 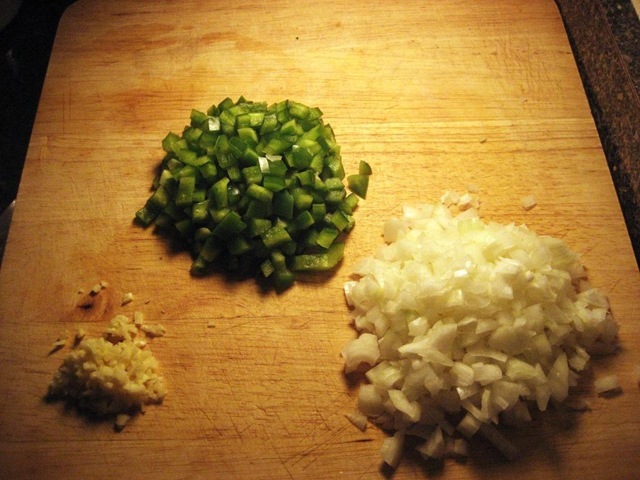 The great thing about chili is you can completely adopt it to the ingredients you have on hand. 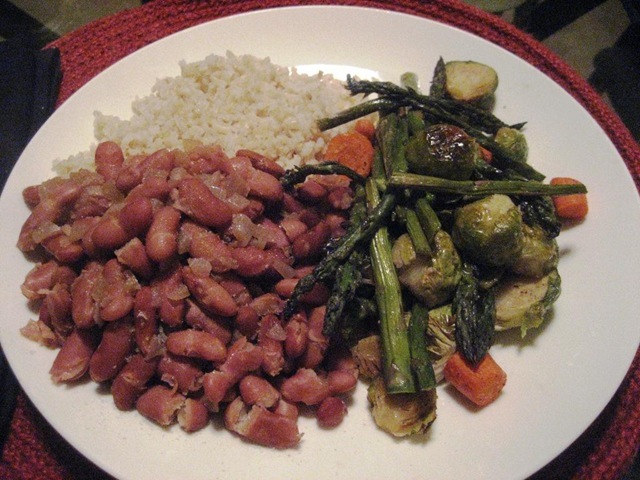 I used canned beans in this recipe, but you can use dried if you have them – just soak them beforehand. I also used an onion and a pepper, but you can use other veggies, leave out the corn, add in extra spices, etc. etc. 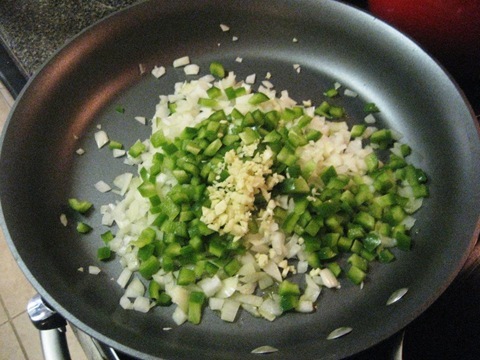 Heat up the olive oil in a pan over medium heat, add the chopped veggies, and heat until soft, about 3-4 minutes. 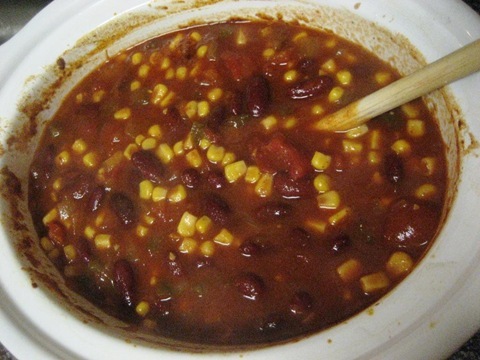 Once those are done, add everything to the crockpot except the corn, plus one can of water – (beans, veggies, tomatoes, tomato paste, chili powder, cumin, and water). 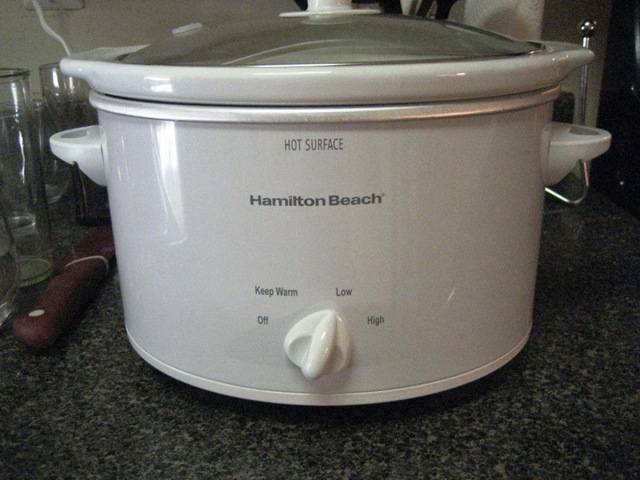 Turn on low and heat for 6-8 hours until its to your desired consistency. About an hour before you’re ready to eat, add in the corn. 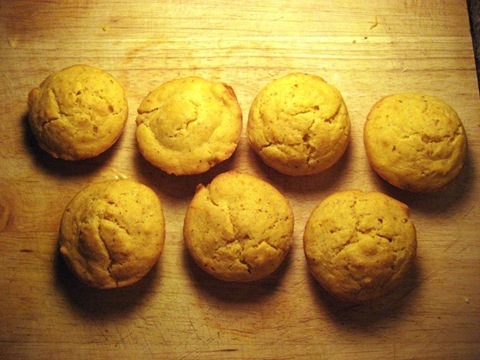 Wil made us some vegan corn muffins to go with the chili, which had corn meal, white flour, apple cider vinegar, a flax egg (! ), soy milk, and a touch of maple syrup. I ate 2 with my chili. Plus added some light sour cream and reduced fat cheddar for garnish. This was AWESOME. Even Wil, who is a self proclaimed carnivore, loved this chili. It is so thick and hearty, and requires such little work. The entire prep time took about 15 minutes between chopping and sauteeing the veggies and then dumping everything into the slow cooker. I set it up in the morning yesterday before church, and by the time we got home our entire apartment was fragrant. It’s a good thing I have leftovers for lunch today (with two extra corn muffins!) because the heater is broken in our office and it is FREEZING. Are you a fan of chili? 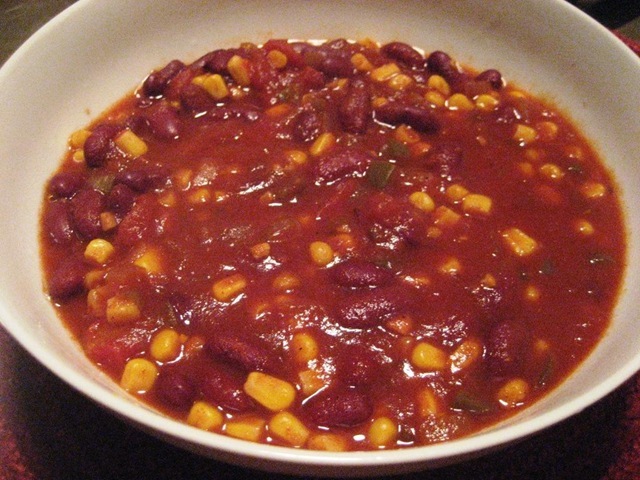 What’s your favorite type of chili? 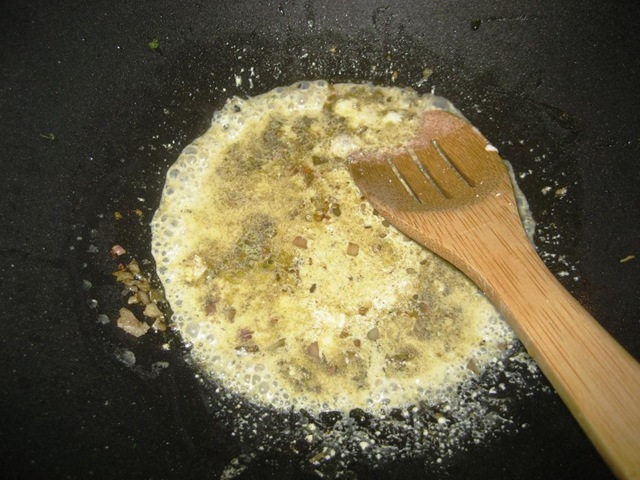 Feel free to leave links to your recipe on your blog if you have one! I’m always looking for new ideas. 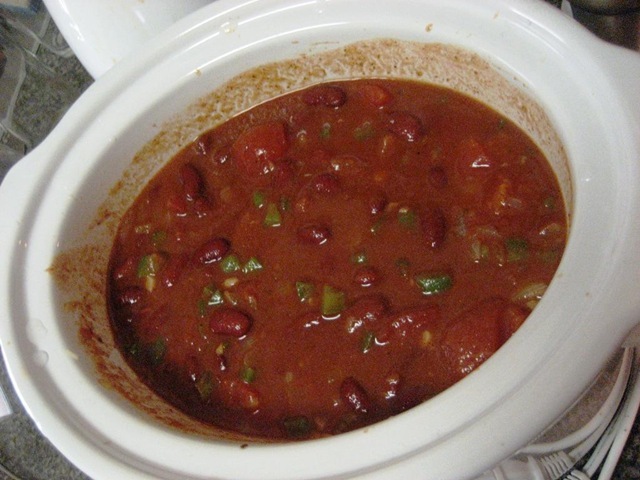 I loooove regular chili, but also love black bean or black bean sweet potato chili! yum! The rest of my weekend after Saturday’s post was laaaaaazy. And not just lazy, but I literally left my apartment once each day. Saturday I went to the gym for a little over an hour (which is in my apartment building but I’m still counting it) and then yesterday, we went out for church and came immediately back afterwards. I know that probably seems SUPER lame (and I realize it may by definition be exactly that) but I enjoyed it SOOOO much. Wil and I rarely have time off together (besides Sundays) and if we do happen to have time off, we usually are visiting family or have plans and are constantly go-go-going. Just sitting down and watching movies, cooking, and relaxing was such a welcome change! Getting in so much down time did not make waking up today any easier though. The weekend felt quite long and I kept saying “I can’t believe it’s only Friday/Saturday/Sunday, but when my alarm went off today it was still a shock. So it goes. Saturday night we had pizza and salad at home. I used a flatout wrap for mine, which was so awesome because I got to eat the entire pizza, load it up with toppings, and felt zero guilt but it still was delicious and awesome. 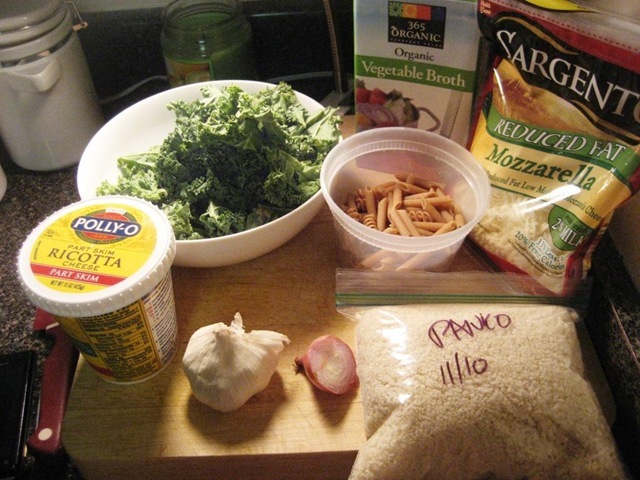 I started with some tomato sauce and crushed garlic, and then loaded on some veggies. 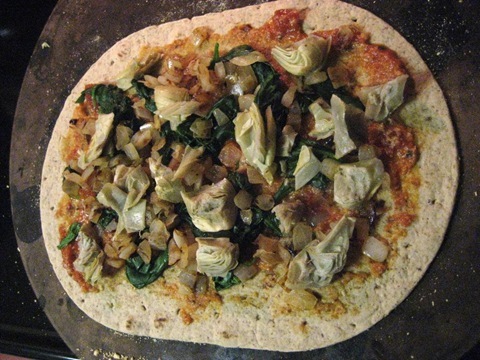 Sauteed onions, spinach, and artichoke hearts. Then I added the cheese and veggie sausage. 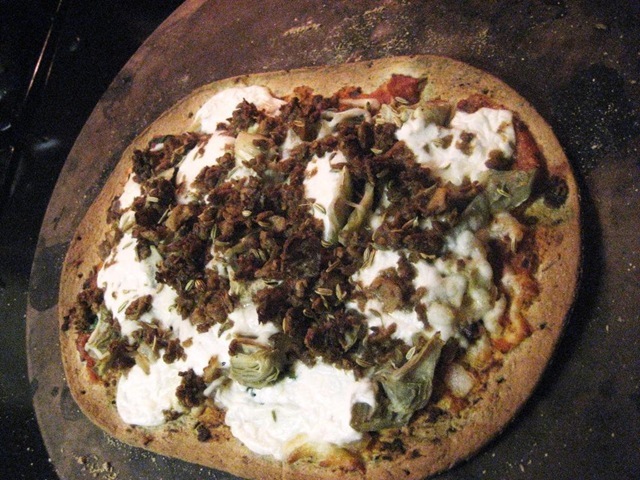 Shredded Mozzarella, part-skim ricotta, crumbled veggie sausage, and extra fennel seeds. Into the oven at 500 for 15 minutes. 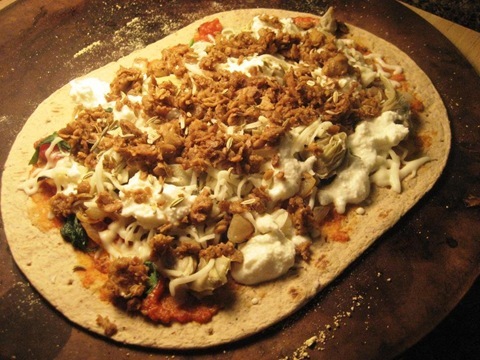 This pizza was LOADED with toppings and the flatout wrap actually stood up to the toppings well. 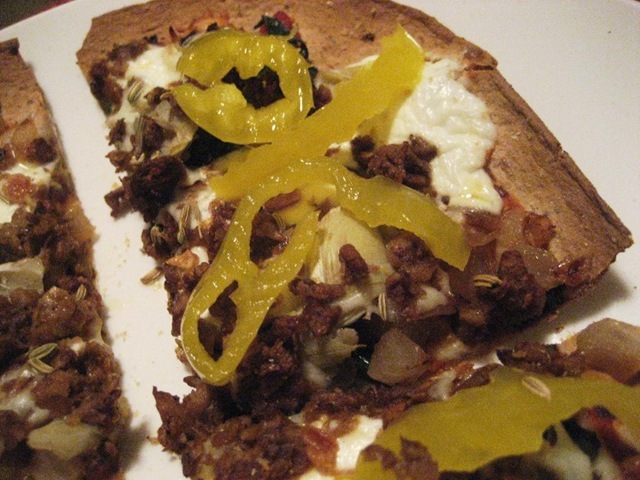 I added some banana peppers to the pieces for a little crunch and spice. 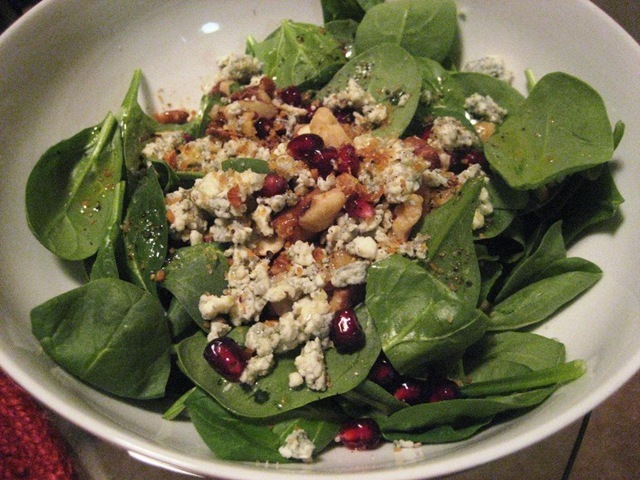 And served it with a spinach salad loaded with blue cheese, almonds, walnuts, and pomegranate seeds. 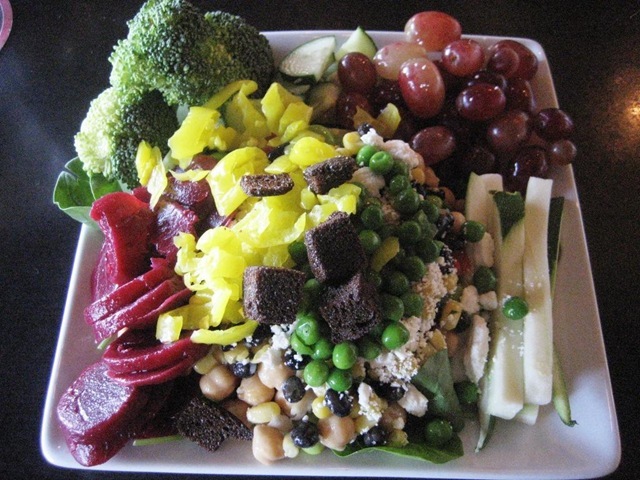 A drizzle of evoo, salt and pepper – and the salad was amazing just like the pizza. Sundays normally consist of eating out after church, but we both wanted to get home afterwards so decided to cook instead. 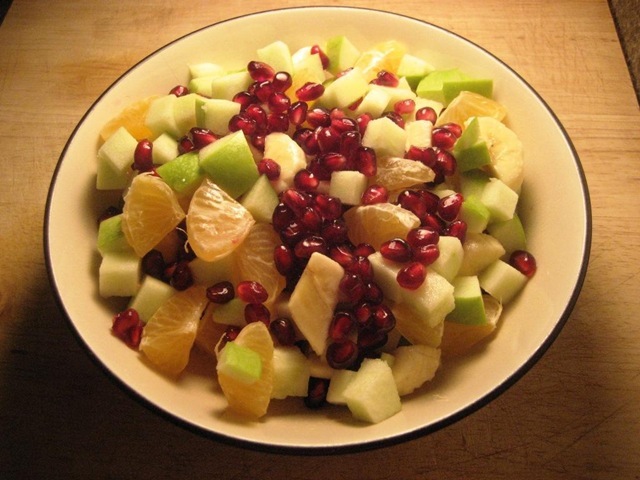 I made a fruit salad while Wil prepared everything else. 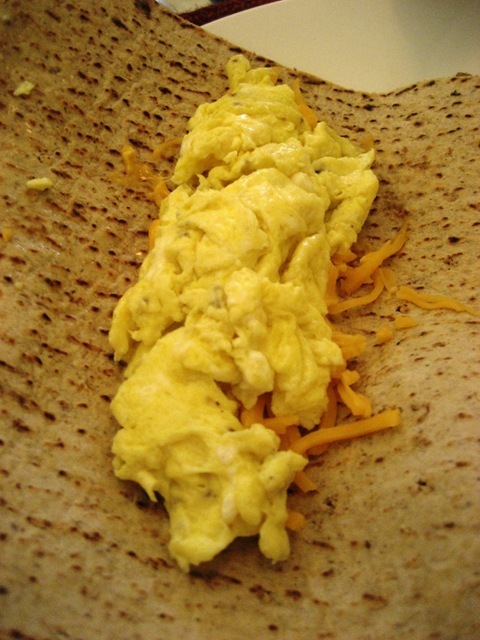 I had a scrambled egg with cheese in a flatout wrap. Plus some fruit salad and hash browns. I also got a brand new crockpot on Friday at Target. For $8.99!!!! I hate Black Friday just because of the crowds, but Target was next door to the movie theater so we decided to check it out. 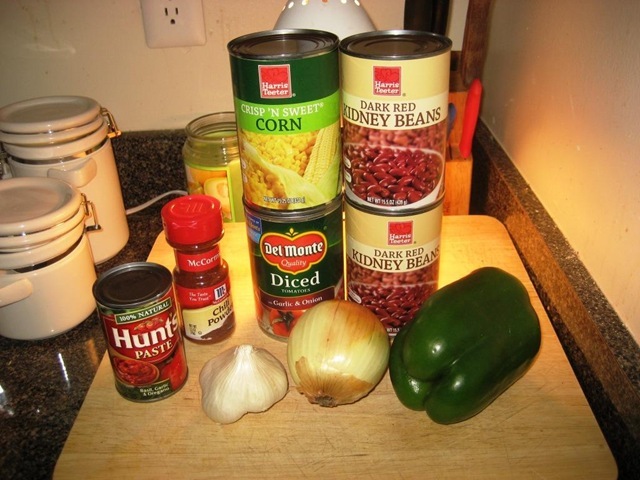 I used this to make an incredible easy veggie chili recipe for dinner yesterday and lunch today, and will be back with the recipe. 1.) What was the tone of your weekend? Go-go-go or lazy like me? 2.) Are you into Black Friday? What’s the best deal you’ve ever gotten? Long time, no blog! I kept meaning to come here and update everyone but have been enjoying the time off from work and time with family and relaxing so much! The salmon is covered in equal parts sugar and salt, plus clementine juice and zest, lemon zest, and tarragon. We kept it that way for 48 hours, and then removed the sugar salt mixture, and it was ready to be eaten! I’ll do a post on curing salmon soon because its SO easy, and keeps for 2-3 weeks in the fridge. It seems so fancy, but its really simple. We served the salmon on top of crostini (toasted bread) with a cream cheese clementine sauce that I made by running a tub of whipped cream cheese through a food processor with the juice of 2 clementines and some clementine zest. I got a picture of SOME of the deviled eggs..
We garnished them three ways – some with caviar, some with chive, and some with gremolata (parsley, lemon zest, and garlic). For the last one (no pictures), we took endive leaves, and in each one put a toasted walnut, a little blue cheese, a piece of granny smith apple, and a dollop of Balsamic Pom Jam (left over from the POM Dinner Party!). These were also super simple and a huge hit. The usual suspects… Turkey, mashed potatoes, creamed spinach, stuffing, sweet potatoes with pecan crumble (AMAZING), green beans with mushrooms, carrots with pecans, and corn muffins. Also, turkey shaped butter! This was my first turkey-less Thanksgiving, and you know, I didn’t even miss it. There were so many vegetarian sides plus the appetizers which were loaded with protein (salmon, eggs, blue cheese) that I still felt stuffed and satisfied and didn’t feel like I was missing out whatsoever. 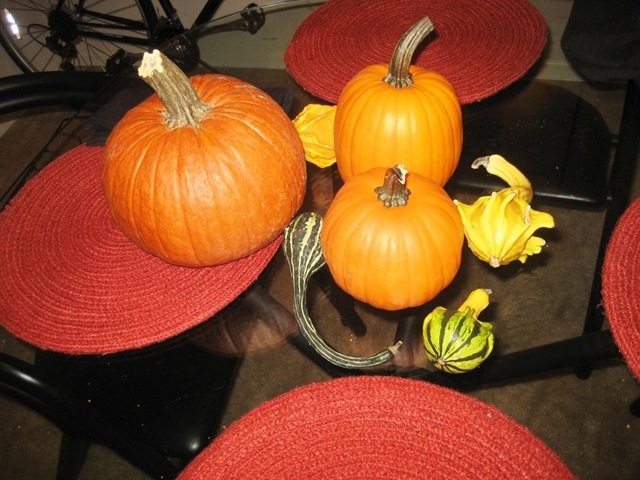 Somehow, I missed snapping a picture of the pies, but my sister Heather made three.. pumpkin, chocolate bouron pecan (!) and salted caramel apple (!!!!). They were unbelievable. I had a piece of the pecan and apple and they were amazing and the perfect ending to the meal. Wil and I ended up driving back on Thursday evening, which was a good thing because Heather and her son Ben both ended up getting sick with a stomach bug!! It was also awesome waking up in my own bed yesterday and having nothing to do for 3 full days! Wil also has the whole weekend so it is so great to just be low key and relax with him for a few days because that NEVER happens. Yesterday, we went out to Don Pablo’s for Mexican and I got my go-to, the veggie fajitas. I love these veggie fajitas because they are full of tons of different kinds of veggies – peppers, onions, carrots, corn, spinach, poblano peppers, tomatoes. Plus all the fixings. 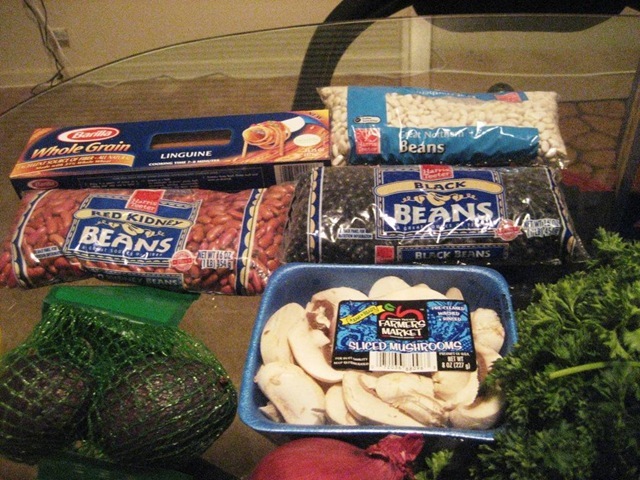 (No sour cream or cheese, and black beans instead of refried). I had two corn tortillas, plus the entire tray of veggies and all the sides. Also lots of chips and salsa of course, and then we went and saw Due Date. I thought the movie was pretty good – I definitely laughed a lot but it’s not one I would say run out and go see now. It was fun being at a theater though because we haven’t been to the movies in a looooong time. Today we made a nice brunch. Two eggs (sunny side up! 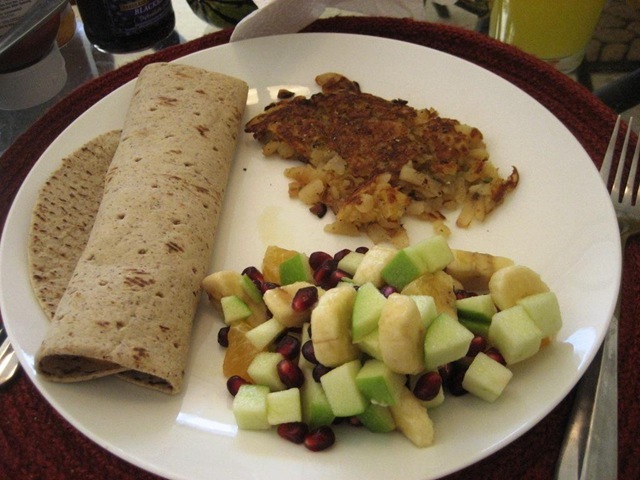 ), hash browns, half a grapefruit, and a toasted arnold thin. Now we’re just relaxing and waiting for pizza and salad for dinner… yum. How was your Thanksgiving? Did you travel or just stay put? What were you in charge of making, or did you just have to show up? I made an awesome dinner last night, and halfway through I realized there was no cheese, butter, eggs, or fish in sight. I pretty rarely have vegan meals, and if I realize it’s vegan I generally just add some cheese because I love it. But last night, the meal was so great that it didn’t even need any! 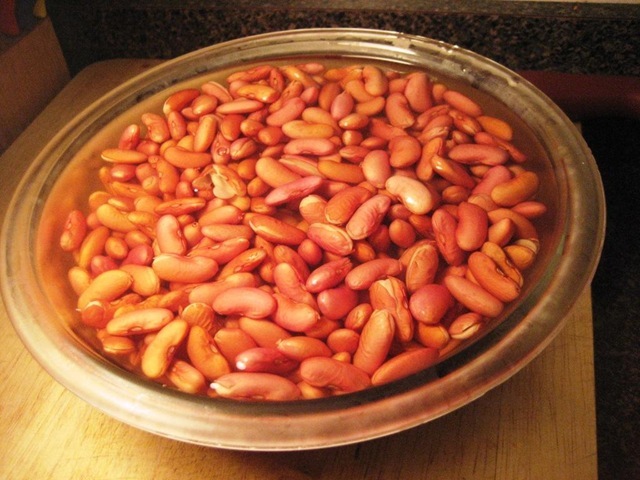 I started by soaking a bag of kidney beans in water overnight. I kept it uncovered but actually put it in the fridge overnight. 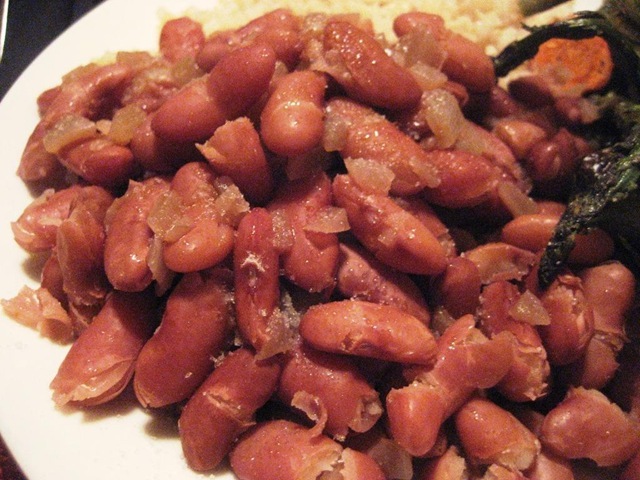 I’ve never made dried kidney beans from scratch, so I was kind of excited for these ones. 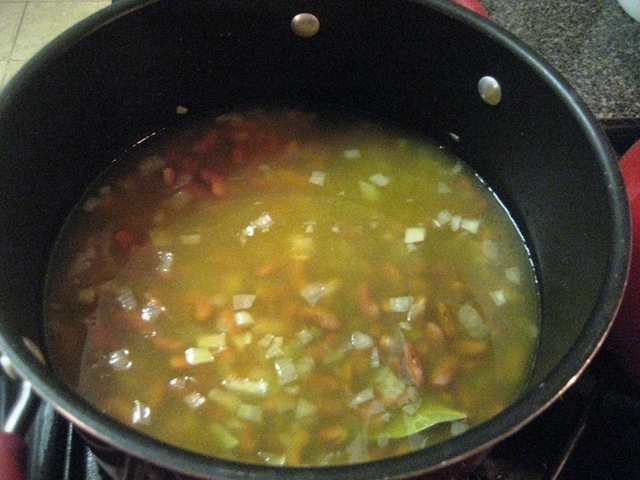 I heated up a whole onion in a pan with a little oil, and then added in the beans, the rest of the veggie stock I had left, and some water so they were covered. Then I added 2 bay leaves for good measure. I brought it to a boil, then covered it and turned down the heat and simmered them for about an hour. You know they are done when most of the liquid is absorbed and they are to your desired texture. 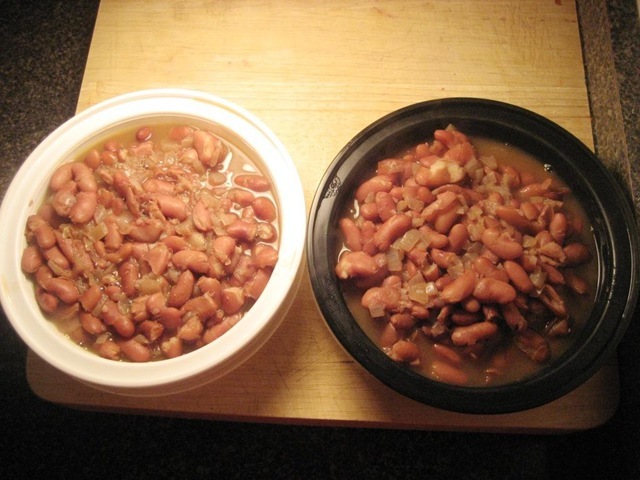 Again, these beans were AWESOME. Though definitely more time consuming than canned, they are totally worth the time they take to prepare, especially since most of it just involves letting them simmer. 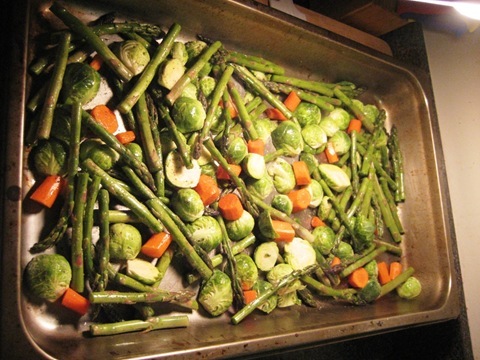 While those were cooking, I prepped a pound of asparagus, a pound of brussels sprouts, and 3 carrots. I tossed them in 2 tsp of olive oil and then salt, pepper, and garlic powder. Into the oven at 400º for 40 minutes, stirring once, and then they were perfect. A large scoop of beans. 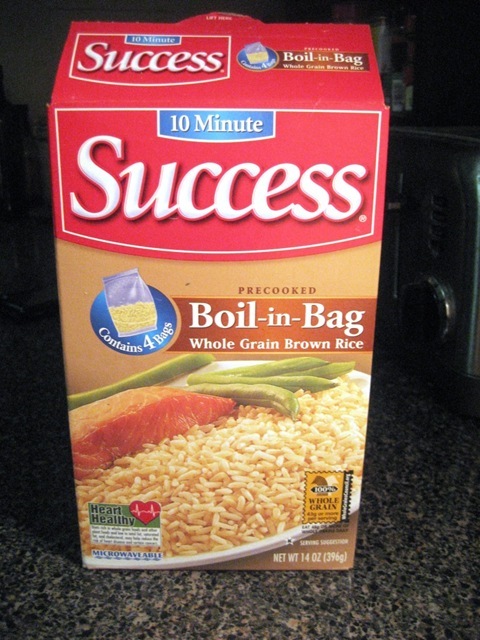 All served over half the rice (a bag makes 2 servings). 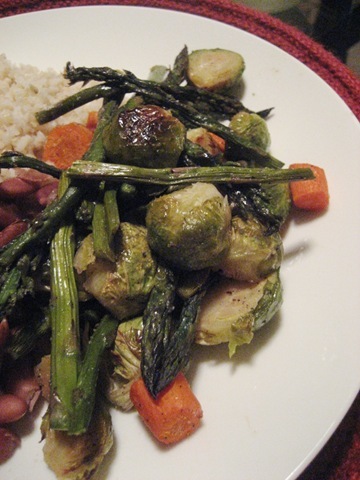 Do you ever have vegan meals? If you are a vegan, do you ever miss eggs, cheese, and/or butter? Hiya! It’s so nice that it’s on Tuesday but the end to this week is in sight because Thanksgiving is SO soon. I seriously cannot believe that it’s the holiday season or that 2010 is almost over… or that its 2010 but that’s a whole different issue. Last night I was supposed to go see a friend in Baltimore who I haven’t seen in years, but I made the decision to stay home instead and I think it was a good one. I’m sad because my friend Chris never comes down this way and Baltimore is only 45 mins from DC, but I had to work a full day, get some things done around the house, and I still have a lot to do to get ready for Thanksgiving. So, I ended up getting in a good workout even though I was not feeling it at all until it was over instead. Still get in 4 workouts (2 down already) this week, including at least one while in MO. I crushed this goal, getting in 6 workouts this week! I got in one tuesday, two wednesday, one thursday, one saturday, and one monday, including twice while in MO. Yay. Get in 2 days of strength training. Check – Saturday and Monday. Good ones, too. Make a conscious effort to drink a lot of water despite traveling. I did a great job with this one. I tried to alternate coffee with water in the mornings, and bought a bottle of Smart Water that I kept refilling throughout the trip. I think I even got MORE water in in MO than I do at my desk. Try to get as much sleep as possible even though there will be early mornings and late nights this week. I did pretty well on this one. I tried to get to bed really early and succeeded most nights. I also limited myself to just one glass of wine on Wednesday and Thursday nights while in MO, which I think helped tremendously because I tend not to sleep that well if I drink. Make good decisions while traveling but give myself a break because its going to be harder to stay healthy while traveling than it is when I’m cooking for myself. I think I did really well with eating while I was in MO, but then I kind of cracked when we went to visit Wil’s mom. I’m always surrounded by candy and cookies and treats while there and have a hard time staying on track. Overall, I did alright with this one. Try to eat enough fruits and veggies this week even though I’m not cooking. I actually did way better with this one than I expected. Getting in fruits and veggies was really not too hard when I was away because I tried to have fruit with breakfast and for snacks, and a salad for or with lunch/dinner. It worked! Don’t turn the TV on while in MO – just read my book and magazines! Check! I even finished my book – Half Baked – while there, and read a Women’s Health Magazine. This weekly goal thing is really working for me because I’m able to set goals based on what I’m doing for the week and only focusing on a few things each week seems do-able. Here’s what I want to do for the very last week in November. Workout at least four times, including one on Thanksgiving morning. Get in an outdoor run if weather permits. Get in one day of interval training on the treadmill. Try to focus more on family during Thanksgiving rather than the food. This one will be tough! 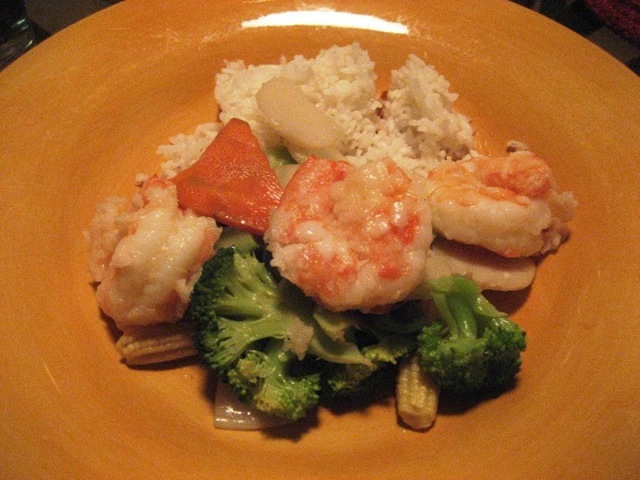 Cook at home as much as possible given traveling for the holiday. Realize that Thanksgiving is a holiDAY, not a holiWEEK or holiMONTH. Allow indulgences on that day but try to limit it. to Thursday. Pick another book to start reading and start! How was your week in terms of healthy living? And, what are your plans for Thanksgiving? Are you staying put or traveling to see family? Are you cooking or just showing up? 1.) My nephew Harper is doing really well lately. He is up to 3lbs1oz which I understand is still teeny, but he dipped under a pound after birth so he’s nearly trippled in size. He now (mostly) fits into preemie sized clothes, so they get to dress him up and he’s looking chubbier and more adorable each and every day. Prayers in numbers seem to be working! 2.) I signed up for another half marathon today!!!! I’m so excited to crush the time from my first half marathon and start training early next year for this race! My goal is to keep my running up to 5-6 miles between now and the end of the year and then start upping the mileage and doing more interval training like I did this weekend to improve my speed. The race is the National Suntrust Half Marathon on March 26, 2011. That’s a whole lotta loot for just $36, don’t you agree? 4.) Breakfast this morning was simple, but delicious. 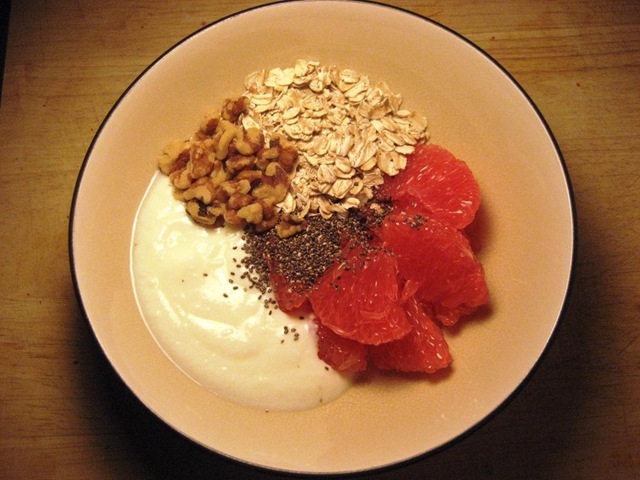 Low-fat plain Stonyfield yogurt, half a grapefruit, 1/4 cup rolled oats, 1/2 serving walnuts, sprinkle of chia seeds. 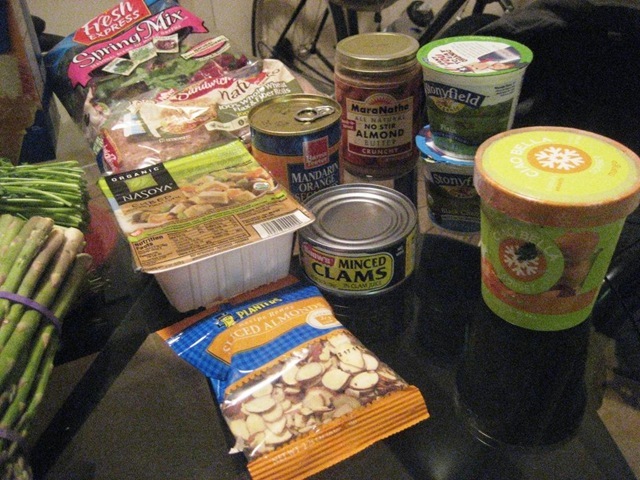 The only thing I didn’t like was how much thinner regular yogurt is than Greek – I almost forgot! Are you a yogurt lover? Regular or Greek? What’s your favorite way to have it? I feel like I’ve been go-go-going and there really is no end in sight until 2011. Whew! I am still a little store today but it felt great to get in such a good workout before starting the weekend. After showering, throwing a few things in a bag, and repacking my toiletries (why did I unpack them in the first place on Friday night? ), we got on the road for the 3 hour trip to see Wil’s mom for the night. We had a really good visit, and stopped at Ruby Tuesday’s on the way. 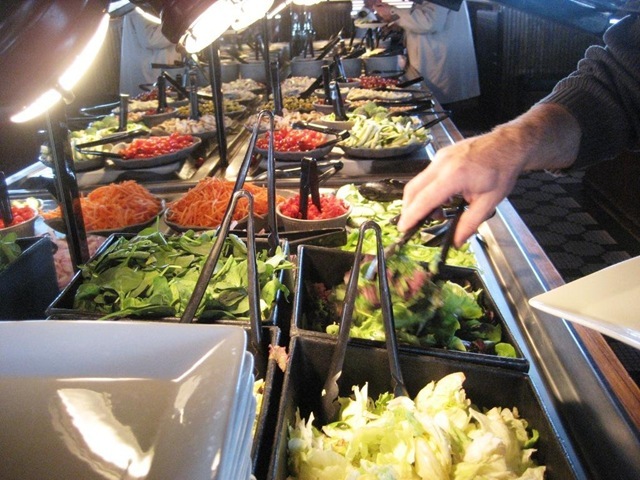 I normally hate chain restaurants, but the salad bar there gets me every time. I started off with one mighty plate. That’s all I know. 🙂 I ended up getting another small plate when Wil’s Turkey Burger came just because I felt like having something in front of me but I barely ate it because this first plate really packed a punch. Dinner that night was pizza at home – very low key, but perfect. We made brunch the next morning which was super heavy because they live in the South and love breakfast like that (so do I, on occasion) with scrambled eggs, cheese grits, biscuits with butter, hash browns, bacon and sausage (not for me!). I ended up eating not one but two biscuits, a good serving of eggs, and too many hash browns. It was delicious, but I was definitely in the mood for a light dinner when we got home around 6pm. I ended up running to pick up more than a few things at the grocery store, and Wil ordered us Chinese food. 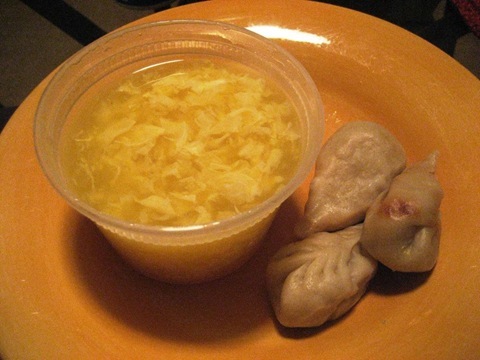 I got eggdrop soup and we split an order of steamed veggie dumplings to start. After unpacking (again) we watched Dexter (which is getting CRAZY!!) and then I went to bed right after 10. How was your weekend? What was the best part? What TV shows are you loving lately? I might be getting slightly ahead of myself with that title, but I’m OK with that. It’s my last day in Kansas City, and while it’s been fun and I enjoyed the city a lot more than I thought I would, I am definitely feeling ready to get home. The only trouble is tomorrow we are taking another overnight road trip to see Wil’s family, and then will be leaving again Wednesday for Thanksgiving with my family, so there is really no end in sight until 2011 for me to be home for a weekend. Boo. Today, the instructor I dined with last night gave me his card to go upstairs to the Executive Club where they have a free breakfast buffet. I was actually quite excited to go up there, but was left a little disappointed with the selection that had been heavily picked over when I went upstairs around 8:30am. They only had yoplait light for yogurt, and I really try to stay away from artificial sweeteners, and then they only had 2% milk which is a little thick for my taste. I asked for skim, but they didn’t have any, so I just had the 2% anyways. I scraped up all the fruit that was left onto one plate. It was WAY better than yesterday’s fruit – watermelon, honeydew melon, cantaloupe,and blueberries. With the fruit, I had a small box of Raisin Bran cereal. And I used the full container of 2% milk – some in my coffee, most in the cereal, and a sip or two straight up. The breakfast was tasty, but made me remember why I don’t normally have cereal – I was full about an hour later. By 11:30 when we broke for lunch, my stomach was GRUMBLING. Unfortunately check out was at 12, so I had to eat at the hotel for lunch and pickings were again pretty slim. They had a make your own sandwich bar, some salads, and baked potatoes. I ended up doing OK but have a feeling I’m going to be hungry again pretty soon. The thickest piece of wheat bread ever, with mustard, lettuce, tomatoes, onions, pickles and a slice of provolone cheese, plus a salad. A small baked potato with a slice of provolone, a pile of pickles, and a little bit of this extremely mayonnaise-y pasta salad. I did the best I could with the buffet but vegetarian/healthy options were quite limited. I think sometimes I take for granted being able to cook my meals at home. 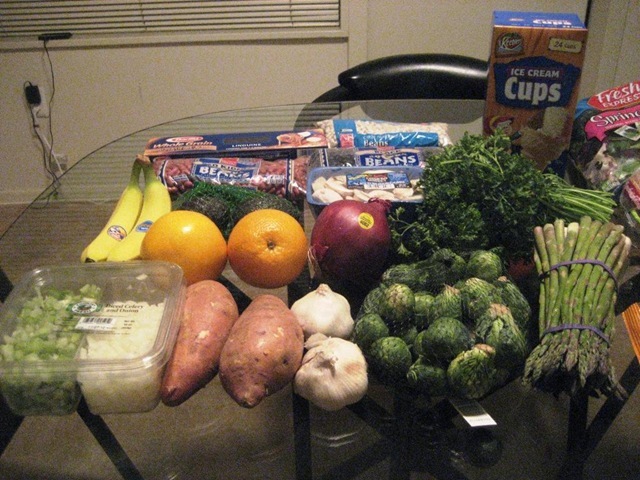 Not only are they way healthier and do I have so many choices, but its WAY cheaper. That silly buffet cost $18! Geez. No workout for today but I’m OK with that. Since we’re getting on the road to visit Wil’s mom tomorrow early afternoon, I’m going to try to get in a workout tomorrow morning before we go, but I don’t land until 10:15p tonight, so I’ll play it by ear. 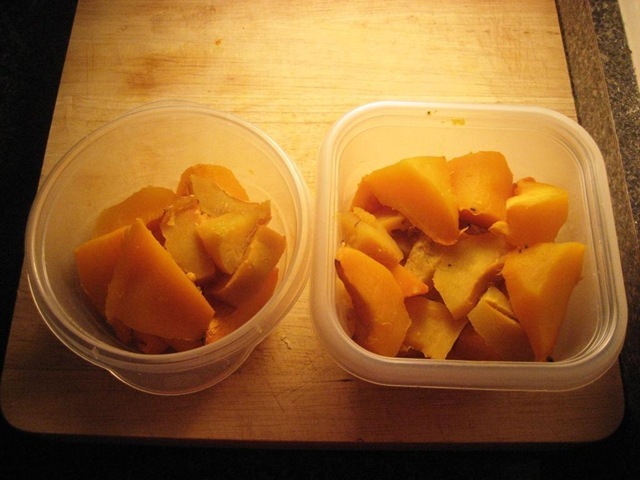 Do you pack your lunch most days for work or cook at home, or do you usually go out to buy it?